Just in case you didn’t have enough excitement slated for your upcoming Buku weekend, The Howlin Wolf just announced an additional afterparty worth checking out. The Friday of BUKU weekend, the iconic New Orleans music pub will host Delish Da Goddess. The local “trap goddess” has been blazing her own trail throughout the city over the last four years. 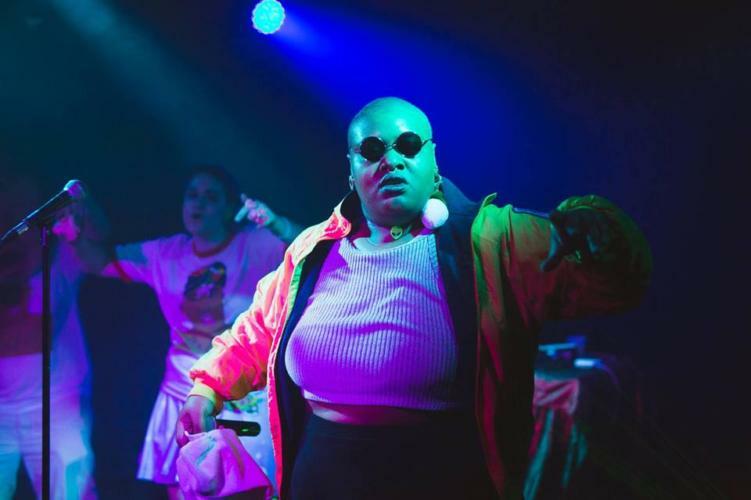 She’s performed alongside iconic artists such as Big Freedia and Peaches, and took home the Best Rap & Bounce title at the 2018 Big Easy Awards. OffBeat Magazine called her the leader of New Orleans’ DIY hip-hop movement. She performs regularly around New Orleans and has a steady, loyal local following. Her high-energy performances are a hit both locally and nationally. Her post-BUKU performance is one you definitely don’t want to miss. The Howlin Wolf is right down the street from the festival, and tickets are a good deal cheaper than some of the other afterparties. Get tickets for the Howlin Wolf x Delish Da Goddess after party here. Follow River Beats New Orleans to stay in the know on EVENTS in New Orleans!